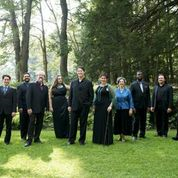 Vocal ensemble Blue Heron has been acclaimed by The Boston Globe as “one of the Boston music community’s indispensables,” and by Alex Ross in The New Yorker for its “expressive intensity”. Combining a commitment to vivid live performance with the study of original source materials and historical performance practices, Blue Heron explores a wide repertoire, including fifteenth-century English and Franco-Flemish polyphony and Spanish music, and neglected, early sixteenth-century English music, especially the Peterhouse Partbooks, copied c. 1540 for Canterbury Cathedral. Blue Heron’s first recording, released in 2007, featured music by Guillaume Du Fay. In 2010, the ensemble inaugurated a five-disc series, Music from the Peterhouse Partbooks, featuring many world-premiere recordings; three discs have been released to date, with volume four due in 2014. All of the ensemble’s recordings have received international acclaim; its first Peterhouse disc made the Billboard charts. Blue Heron presents a four-program series in Cambridge. It has appeared at the Boston Early Music Festival; in New York City at The Cloisters (Metropolitan Museum of Art), the 92nd Street Y, and Music Before 1800; in Washington D.C. at Dumbarton Oaks; and in California at Festival Mozaic and the Berkeley Early Music Festival. In 2012, it was named ensemble-in-residence at the new Center for Early Music Studies at Boston University, and performed for His Holiness the Dalai Lama during his visit to MIT. Highlights of the 2013–2014 season include a return to The Cloisters and debuts at the Library of Congress, at Yale University, and in Seattle, Kansas City, and Cleveland. 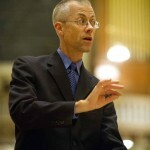 Scott Metcalfe has gained wide recognition as one of North America’s leading specialists in music from the fifteenth through seventeenth centuries and beyond. Musical and artistic director of Blue Heron, he is also music director of New York City’s Green Mountain Project, whose performances of Monteverdi’s Vespers of 1610, and a 1640 Vespers of Metcalfe’s own devising, have been hailed by The New York Times as “quite simply terrific” and by The Boston Globe as “stupendous.” Metcalfe has guest directed TENET (New York), Emmanuel Music (Boston), the Tudor Choir and Seattle Baroque, Pacific Baroque Orchestra (Vancouver), Quire Cleveland, and the Dryden Ensemble (Princeton), and conducted Early Music America’s Young Performers Festival Ensemble in its inaugural performance at the 2011 Boston Early Music Festival. In December 2013, he made his debut with Boston’s Handel and Haydn Society. He also enjoys a career as a baroque violinist, playing with Les Délices, L’Harmonie des Saisons, and other ensembles in Boston, Montréal, and elsewhere. 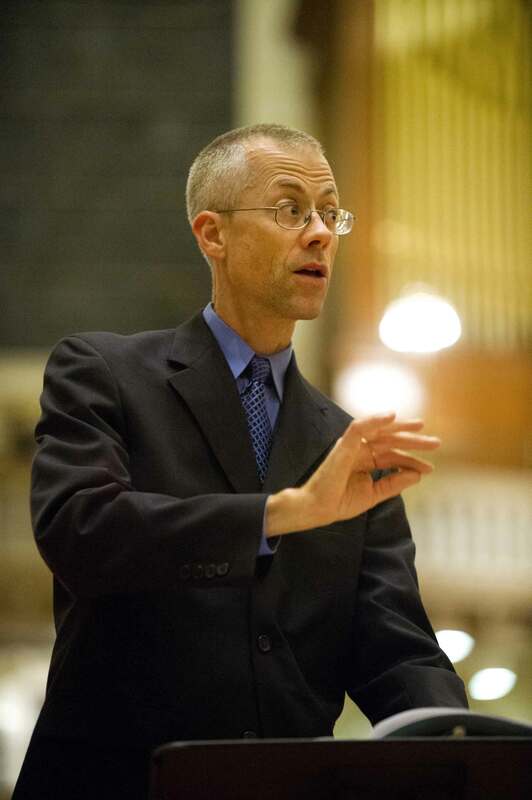 He teaches vocal ensemble repertoire and performance practice at Boston University, and is co-director, with Victor Coelho, of the university’s Center for Early Music Studies. He is currently working on a new edition of the songs of Gilles Binchois (c.1400–1460). He received a bachelor’s degree in 1985 from Brown University, where he majored in biology (perhaps uniquely in the early music world, he was lead author of an article published in the Annals of Botany), and in 2005 completed a master’s degree in historical performance practice at Harvard University.